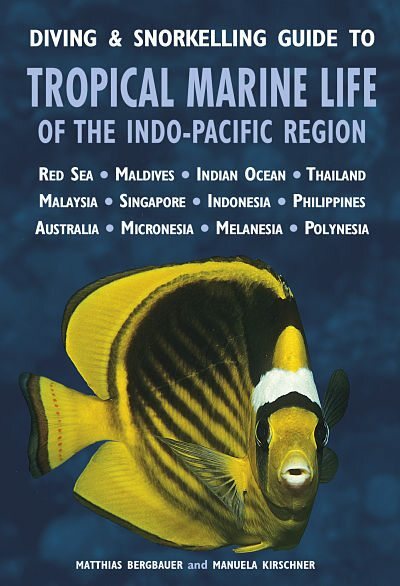 This handy pocket guide enables divers and snorkelers to identify more than 270 of the most common species of marine life likely to be encountered in and around the coral reefs of the Indo-Pacific region, including fish, reptiles and amphibians, and invertebrates. Each species featured is illustrated with an outstanding colour photograph, accompanied by a species description covering nomenclature, size, habits, and distribution. The Indo-Pacific region, encompassing the Indian and western Pacific Oceans, includes the major diving destinations of the Red Sea, the Maldives, Thailand, Malaysia, the Philippines, Indonesia, the Great Barrier Reef, Melanesia, Micronesia, and Polynesia, and accounts for 92% of the world’s coral reefs. This guidebook shows the species that divers and snorkelers are really likely to encounter – it’s the essential companion for every diving expedition. Extent 224 pages. Words 25,000 approx.